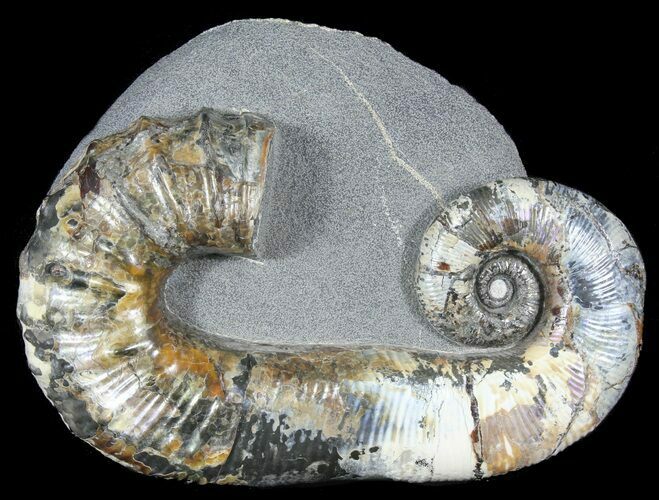 This is a very impressive and lustrous heteromorph ammonite fossil, quarried from the Volga River region of Russia. 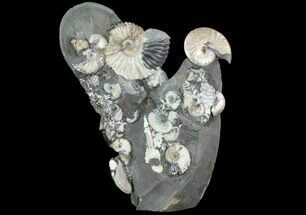 This ammonite is beautifully displayed in it's original argyllite matrix which has been polished to create a stunning display. This specimen exhibits extensive opalescent mother-of-pearl along with diffuse pyritization. 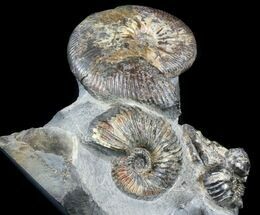 The ammonite itself is 8.3" long. It comes with an acrylic display stand. 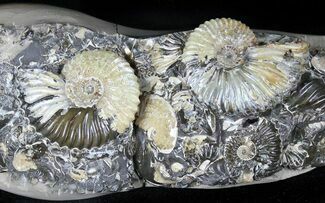 There is restoration on the ammonite and the matrix to make it more displayable. 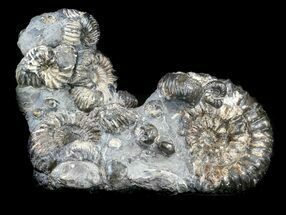 This is typical for most Audiloceras ammonites sold from this region. 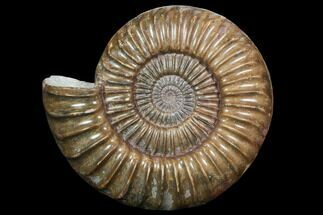 Most ammonites are homomorphs meaning that they retain their spiral shell shape throughout growth. 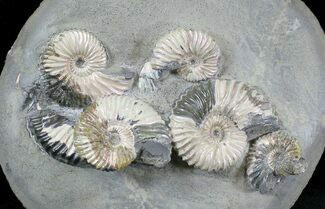 Heteromorph (different shaped) ammonites developed during the late jurassic and have uncoiled shells. It's hard to imagine how this shape would have given them a evolutionary advantage as it would have hindered fast movement.